Since the February meeting was snowed out…these will now for the April meeting! 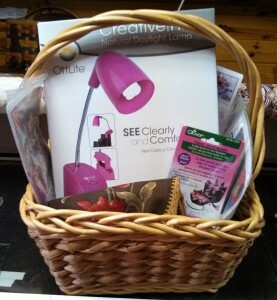 The main $3 door prize includes an great Ott light in Valentine Pink with a few goodies to round out the basket. 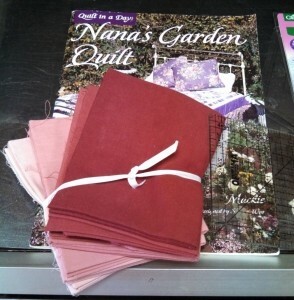 The $1 ticket bundle includes a sweet bundle of fabric , a book and a ruler.